My name is Andrea and I am a wife, fitness instructor, breast cancer survivor, and former English teacher. 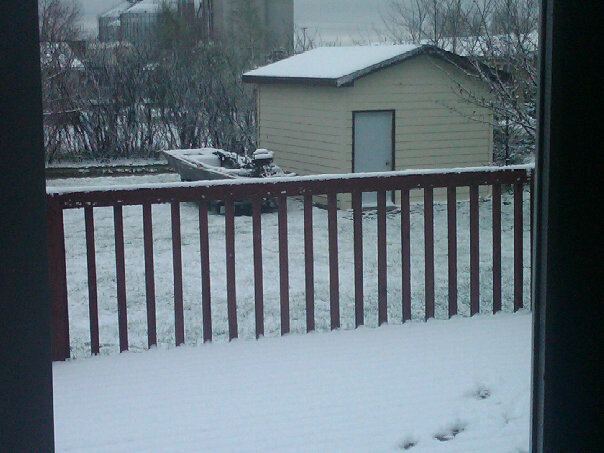 I moved from the sunshine state (Florida) to North Dakota (Santa’s front yard). Welcome to my blog! From FL to ND follows my adjustment to living in a freezing climate along with my interests in fitness, food, books, family, and (mostly) healthy living. If only I could look like this everyday! We moved to North Dakota at the end of April in 2011, and since then we have been freezing our butts off while living in the middle of nowhere! I drive over an hour one way just to get our groceries (just to give you an idea what my life has become). Through blizzards, -58 degree wind chills, and countless other strange happenings we are still surviving while living in Santa’s front yard. We left uper 80s to have snow 5 days after we moved in on MAY 5TH!!! My blog will focus on what means most to me in my life: family, fitness, food, fun, and friends (yes FL friends…that means I’ll be blogging about you too:). I hope you will enjoy the ride as I continue figuring out how to survive and not lose my mind while living in North Dakota! This entry was posted in About and tagged living in North Dakota on September 7, 2012 by fromfltond.